In last year’s annual report, I stated that KLM had made impressive progress. I am proud to say that in 2018, we have been able to exceed last year’s record high achievements on many parameters. Customer appreciation has gone up, we have made significant investments in fleet, technology and employees, we welcomed more passengers on board and improved the on time performance of our flights. Furthermore, we have managed to maintain a stable financial performance, despite a marked higher fuel bill this year. When we took the helm with the new team in 2014, we set out on a journey to become Europe’s most customer-centric, innovative and efficient network carrier. From 2015 until 2017, we defined, executed and reaped the benefits of KLM’s new purpose and strategy with the help of our annual KLM Flight Plan and the KLM Compass. Through the effort and hard work of all 35,500 KLM employees, we have been able to reduce our costs over this period. Money, which in return, we have used to invest and reduce our debts. I am very pleased that in 2018 our investments have tripled, we reduced our net debt even further and staff morale is positive. KLM is more robust and agile again, on the way to its centenary in October 2019 in great health. Our financial health improved in 2018 because of a solid performance of all our businesses: Passenger activity, Cargo activity, Engineering & Maintenance and Transavia. This has allowed us to further renew our fleet, invest in new products for our customers, free up development budget for our employees and accelerate the digital transformation across all business segments. On top of this, our staff has been able to benefit from the highest-ever pay-out from our profit sharing scheme of EUR 170 million in 2018 (related to 2017). For the year 2018 a profit sharing scheme of EUR 168 million is expected. We also managed to make our operations significantly more stable and reliable through innovation, which, amongst other things, translated into a better customer satisfaction expressed in a high Net Promotor Score of 42. I am deeply grateful to all KLM staff for their strong efforts to live up to our customers’ expectations and I can only conclude from this year’s results, that at KLM, our people truly are our brand. In 2018, the combination with Air France in the AIR FRANCE KLM Group continued to be beneficial to KLM. We introduced a new, joint Flying Blue loyalty program with 15 million members and achieved synergies in Cargo and purchasing. And with Air France and our partners Delta Air Lines, Kenya Airways, GOL, Jet Airways, China Eastern and China Southern, we further enhanced our global network. However, 2018 also marked a year of social instability and managerial changes at Air France. The strikes at Air France have been detrimental to our customers, our finances and our internal cohesion. 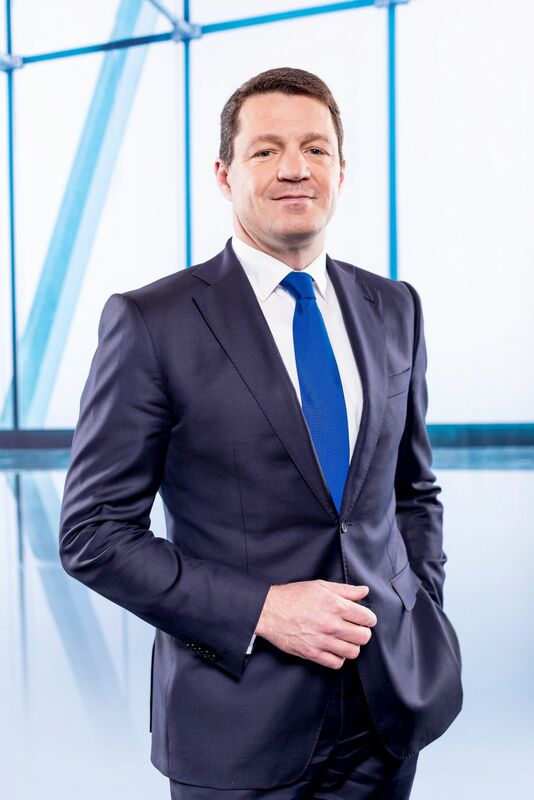 With the appointment of the new CEO of AIR FRANCE KLM Group and the new CEO of Air France, initial steps have been taken to create stronger footing for 2019. While improving what we have and do, we also focused on the future, on securing our ability to grow moderately at Schiphol, which this year reached the maximum number of flight movements until 2020. Due to the unrestrained growth of passengers and flight movements at Schiphol in past years, sustainability has become an increasingly important subject in the Dutch social debate. It is my ambition to ensure that KLM takes its responsibility when it comes to maintaining a liveable planet for future generations and therefore sustainable development of the airline industry. As an airline that has existed for 100 years and has been at the top of the Dow Jones Sustainability Index for the past 14 years, sustainability has always been part of our DNA. In 2018, we made record investments in more fuel efficient and quieter aircraft, formulated a new sustainability strategy, and launched an ambitious plan with more than 20 aviation partners for smart and sustainable growth of aviation in the Netherlands. Beyond that we have been working on our growth plans for the next few years. Because the reality is that only profitable growth will enable us to invest in the aircraft and technology needed to achieve our environmental targets. Sustainability is about more than the environment, though. It is also about creating an organisation that delivers value over the long run, where people feel empowered to be at their best and that feels safe and welcoming to all. This is why we invested in strategic workforce planning and employability, as well as the Winning Way of Working and employee engagement. In addition, we accelerated efforts to make KLM more inclusive and diverse. In 2019, we will continue to engage in sustainable innovation, continue to further digitise our products and processes for customers and employees, empower our staff and build a better product that moves the world of our customers by creating memorable experiences. Even more important, 2019 also marks an incredible milestone for KLM Royal Dutch Airlines, since we will be the first airline, still operating under its original name, to reach its centenary. An achievement that all of us at KLM, Dutch and non-Dutch, are incredibly proud of. For 100 years, we have been true pioneers and entrepreneurs in global aviation, as well as the embodiment of the international ambitions of Dutch society. As I look ahead to the next 100 years, I feel confidence and optimism. Of course, there are many more challenges ahead and there is no time to rest on our laurels. But we have built a mature foundation for our ambitious growth plans and long-term value creation for all stakeholders. And I firmly believe that with our people, our plan and the enduring KLM pioneering spirit, we will navigate this new century in good spirits and health. Just as we have done for the first 100 years!